OASIS Data Collection: Is Your Agency Ready for D Day? After spending almost 20 years with OASIS as a part of daily life, many clinicians, reviewers and agency leaders are frustrated by the seemingly never-ending task of staying on top of accurate data collection. Anytime there are substantive changes to the tool, anxiety levels increase as the learning curve varies widely. It is not enough to know what the manual instructions are. Consistently achieving positive patient outcomes requires informed data collection. This webinar will provide an overview of items impacted by OASIS-D and is intended for data collectors, agency educators and quality reviewers. 1.5 nursing CEs are available for this webinar. Cancellation Policy: If you must cancel your reservation for any reason, please notify PHA in writing via email at [email protected] If the notice of cancellation is received PRIOR to the day of the event/workshop, PHA will provide a credit, minus a 30% administrative fee. This credit must be used within one year of the date of issue on educational programming. 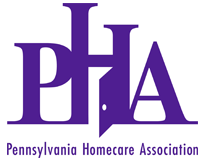 Credit will not be accepted for membership dues or PHA’s Annual Conference. No credit will be given for no-shows or cancellations on the DAY OF or following the event/workshop. Substitutions are permitted up to the day of the event.